If this track is any indication, this forthcoming release from Vondelpark sounds exciting! California Analog Dream is full of ambient cues and space between the lead vocal – that wanders through this EP track with genuine heart. Love this track! Digital-to-analog converters have come a long way, and it seems like there is no end in sight. Precise timing of the samples in a digital stream of audio can make the difference between music being reproduced naturally or with some haze and artifacts. And like many DACs the Hegel HD 20 reclocks the incoming signal for the lowest possible jitter. In addition to this reclocking, Hegel also uses a special imepedance correcting input (coax 1) to ensure the best sound from a standard RCA terminated digital cable. At first glance this unassuming black box simply has digital inputs and analog outputs on the rear with a simple blue LCD display on front. The power supply is built-in, and a supplied remote controls the input selection and digital volume. The remote may also be used to control your computer if the DAC is connected through USB (which is limited to 96kHz SR). 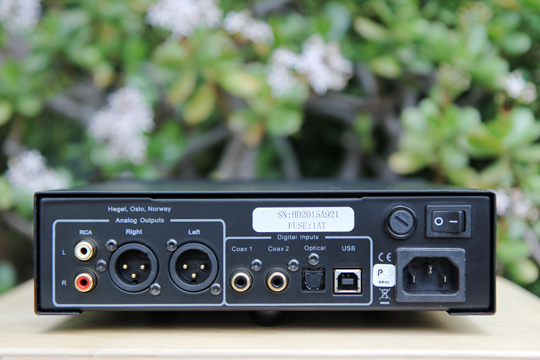 2 coaxial digital inputs on RCA, one optical input, and one USB input are supplied. Analog outputs come in 2 flavors; single-ended RCA and balanced XLR. In Use: The Hegel’s balanced outputs connected directly into my amplifier as well as my monitor controller for two setups. 1)The direct-to-amp scenario requires using the built-in digital volume, which can leave something to be desired when played at low volume settings. 2)When connected through my class A monitor controller via XLR the sound was tight, smooth and detailed. The space of the stereo image was well-defined and localization of instruments was clear. Funny enough, we found that coax 2 provided this tighter larger stereo image compared to coax 1 (with the impedance correction). Playing acoustic music through my Green Mountain Audio Eos HX was natural and defined with the HD20. If it has any sound signature, I would say it is relaxed and detailed. Nothing in the mixes I listened to sounded hyped or overly detailed. The beauty of this DAC was its ability to stay organic and 3 dimensional in the home environment. Using the HD20 with a dedicated headphone amp was may favorite. 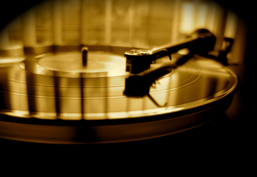 The sound is spacious, natural….just plain listenable. Many of my favorite Jazz recordings came through my HD-600 headphones with a smoothness that made music listening a treat. 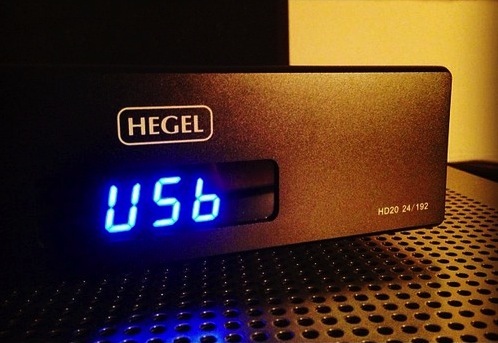 Combined with the CI Audio headphone amp, the Hegel truly shined. Opting for the USB input allowed me access to internet radio and computer audio files. This USB input is limited to 96kHz SR. While this is certainly a convenient feature, it lacks the full sample rate handling for high-definition downloads..
Other than the coaxial 1 input issues, I was impressed with the large natural sound stage and the organic timbre that the Hegel HD20 was capable of delivering. Now with the introduction of the Hegel HD25, the company has harnessed current 32 bit DAC chipsets, and allowed the full 192Khz SR over the USB input. In addition, the NEW HD25 also allows you to choose between two different digital filters to suit your tastes. While I have not auditioned this new DAC offering, I can certainly say that if the HD20 is any sonic indication, an audition of the new HD25 from Hegel is a must.